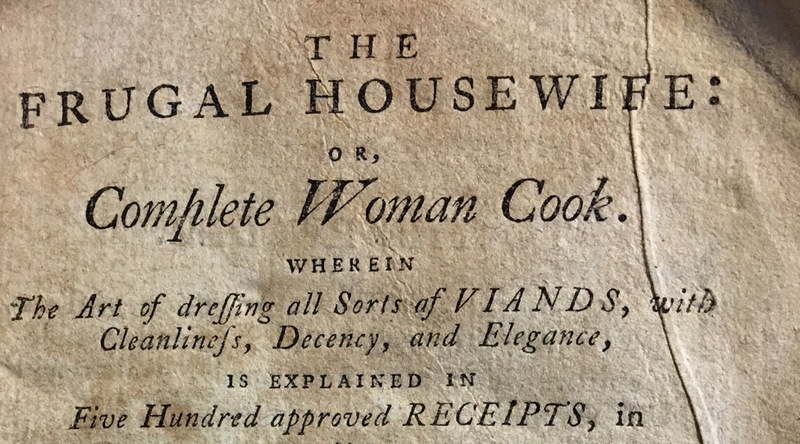 The Special Collections Research Center has recently acquired a 1796 printing of the cookbook, The Frugal Housewife: or, Complete Woman Cook. 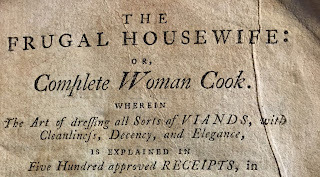 Written by Susannah Carter of Clerkenwall, England, The Frugal Housewife was first published in 1765. 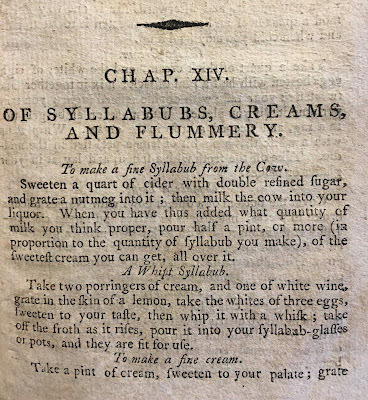 It strongly influenced the first American cookery book by Amelia Simmons. This 1796 printing by James Carey of Philadelphia was one of the first American printings, preceded by extremely rare printing from Boston  and New York [1792 and 1795] with engravings by Paul Revere. 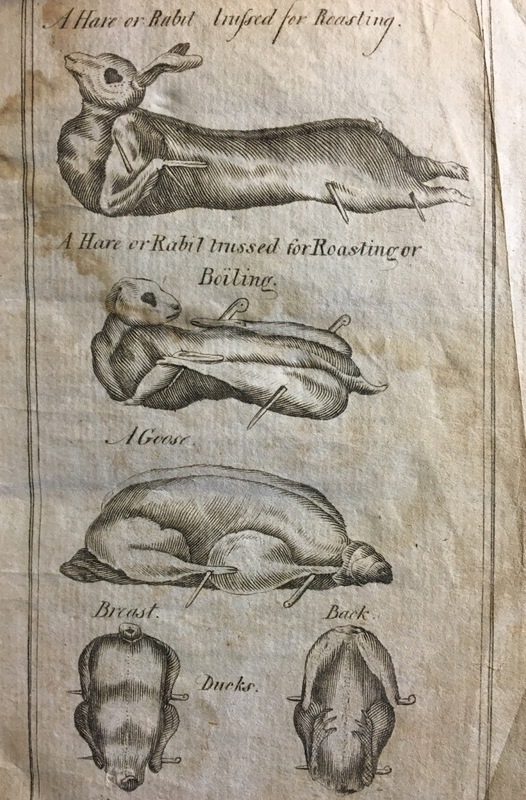 The 1796 printing contains two beautiful frontis leaves of engraved plates, showing the reader how to dress different cuts of meat for roasting or boiling. 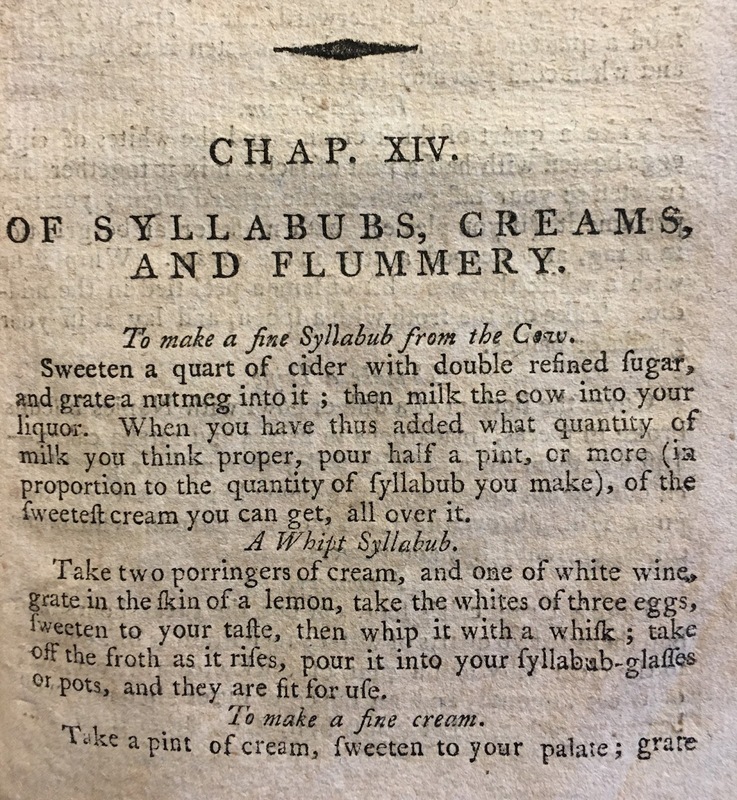 So enjoy these recipes for syllabubs, an English sweet drink made from whipped cream or milk and wine or cider!